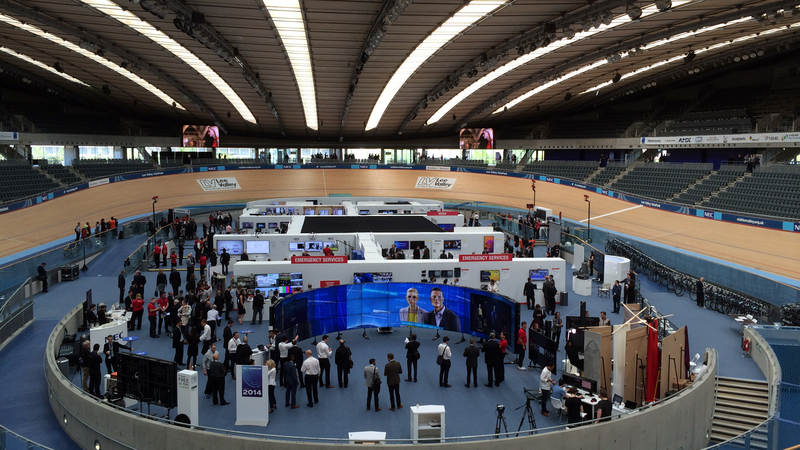 This year’s NEC Showcase was being held at London’s Olympic Velodrome, a great location to say the least. A major improvement compared to last year’s venue The Tobacco Docks which compartmentalised everything way too much and the sunlight beaming in did some screens no favours either. The 2012 event’s location, the o2 arena, is still our personal fave though! The two day event, a first, attracted just over 1.500 visitors, up again compared to last year. The sunny weather helped for walking towards the venue. We saw quite a few things that were interesting showing a few highlights below. 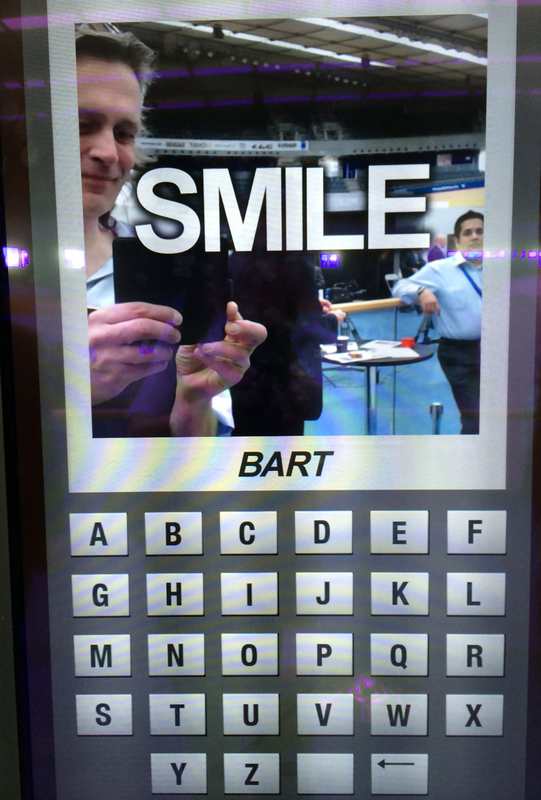 The introduction of NFC card reading technology in conjunction with multitouch documents and way-finding software, was a welcome surprise, it saves clients from having to type their details in as they are already on display! The interactive coffee ordering system was a fun gadget to interact with. 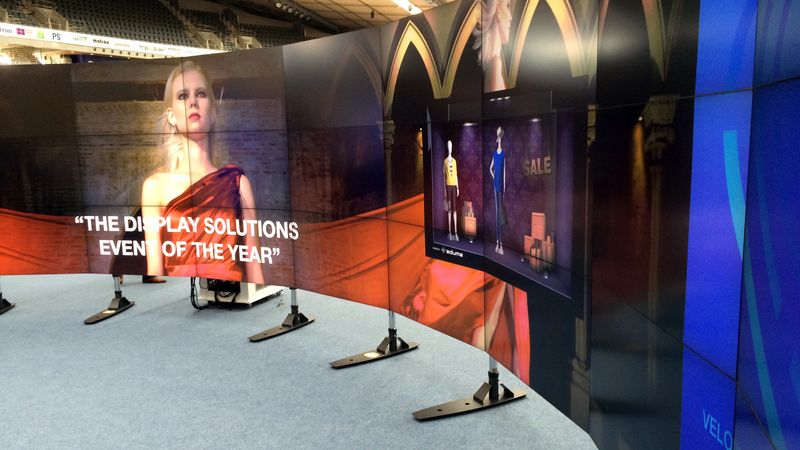 Augmented reality in conjunction with window display digital signage, which can be utilised for many different purposes. The curved wall by PsCo, a major improvement compared to last year’s setup. Very nice! 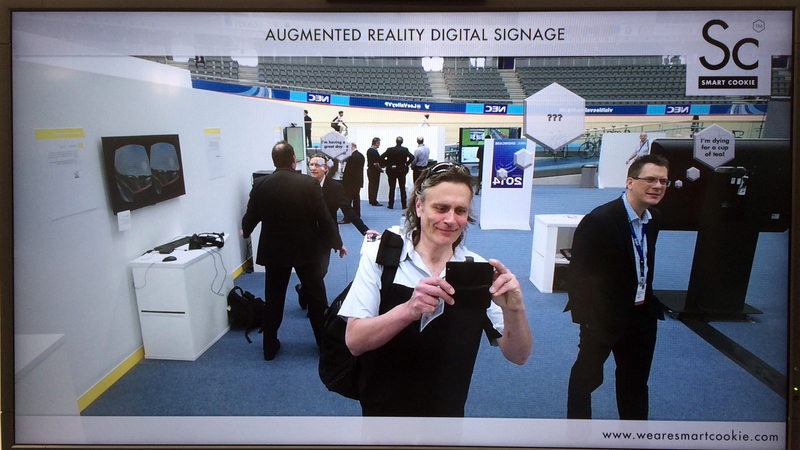 Bit of a let down was the quality of the catering, there were quite a few complaints amongst us, but nevertheless a very good event with some excellent digital signage on display. 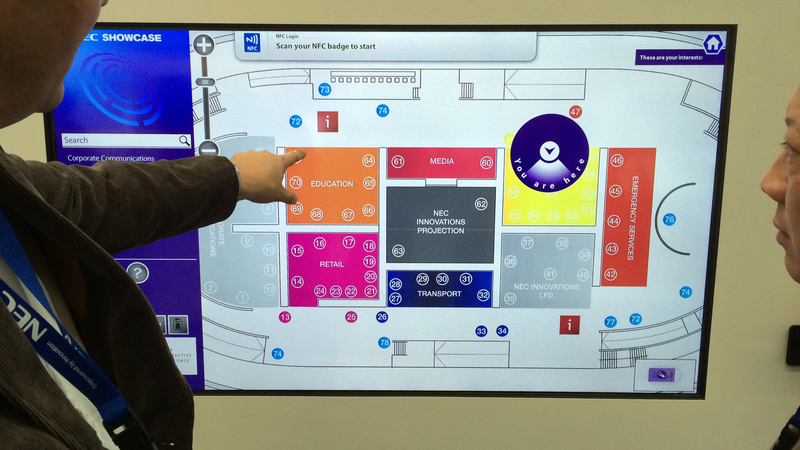 Looking forward to NEC Showcase 2015.